A more refined swamp milkweed. 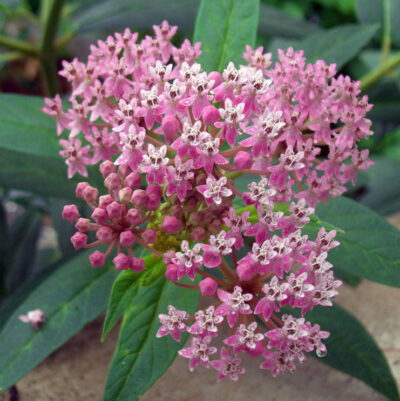 “Pulchre” is Latin for “beautifully” or “excellently.” Soft purplish pink flowers are attractive to butterflies. Clean green foliage is an important food for larval butterflies, including monarchs. Full sun. Average to moist soils. Drought tolerant. Height 2-3′. Spread 1-2′. Native. Zones 5-9.